Since 2014, Google has been redesigning its apps and services according to its own Material Design principles. Yesterday it announced on its design blog that an upcoming release of its Chrome browser (version 49.2) will adopt Material Design as its default rendering. Critically the new version of Chrome — dubbed Chrome MD — will override site-defined CSS in deference to the Material Design specification; colors, type, and even images will be rendered according to Google’s design language. In addition to rebranding the web in its own image, the primary impact of this update will be a radically faster web. Google’s primary concern is for a faster web, and by limiting the variables its browser is forced to render, it expects to increase the initial render of pages by an average of 17%. Chrome MD renders web pages faster than plain HTML with no CSS. This is because even when no styles are defined, browsers still need to poll for possible style definitions; Chrome MD simply skips this step rendering according to its internal style system. Chrome MD marks a major adoption of AMP (Accelerated Mobile Pages), significantly reducing the browser’s workload. However the majority of performance gains have been found by restricting style options. Material Design’s color palette is restricted to 256 colors, and Chrome MD will not render any color other than those 256 hex values. The same principle applies to RGB values, RGBA values will be translated to the closest Material Design color based on the color they overlay. Gradients will not render at all in Chrome MD. However, the closed-beta implementation (that gradients render as their average tonal value) is expected to be adapted to render the lightest tint found in the gradient. The same color restrictions also apply to images: every pixel in a bitmap images will be rendered as one of Material Design’s 256 defined colors — much like current .gif technology. SVG color values will also be automatically converted. However this workaround will only function with bitmaps and embedded SVG files, inline SVG will always render using Material Design colors. Replacing default system fonts, all text in Chrome MD will render using a single embedded font-family. Due to language support it will not be Roboto as might be expected, but Noto. Text will also render in 1 of 2 tones: black, or white; the tone will be automatically selected based on the background color. Gradations of tone will be determined automatically: on dark backgrounds H1–H6 will render at 100% opacity, all other text at 70% opacity; on light backgrounds H1–H6 will render at 87% opacity, all other text will render at 54% opacity. These styles will not be over-ridable, and notably, there is no italic option. If a primary call to action is omitted, Chrome MD will render its own floating action button that links to Google search results for whatever term Googlebot determines is the primary keyword(s) for the page in question. Another key area for rendering performance is pre-defined breakpoints. Based on the sizing set in Google’s new Resizer app, the usable breakpoints are: 360px, 480px, 600px, 720px, 840px, 960px, 1024px, 1280px, 1440px, 1600px. Google has a long and proud history of imposing its will on web designers, from unannounced updates to its algorithm, to the adoption of AMP. 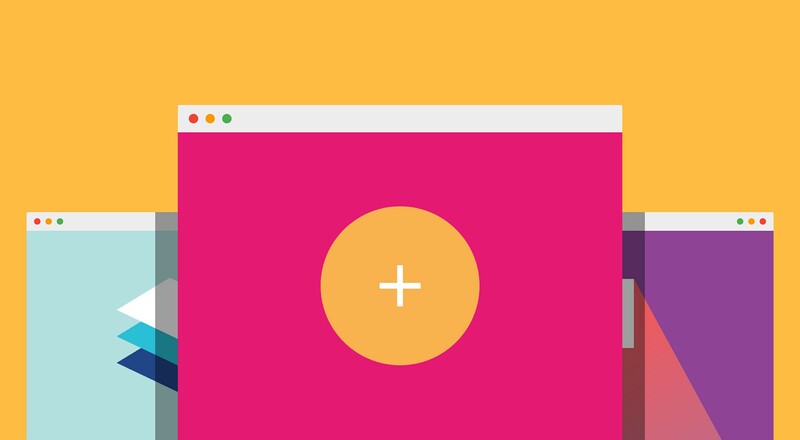 However, imposing Material Design on the web is likely to have the greatest impact. Of course, these changes only affect websites viewed in Chrome, however with more than 52% of global browser usage, it’s difficult to imagine a site that won’t be affected. Ostensibly Chrome’s MD update is about delivering a faster more consistent web experience, but in reality is likely to rebrand the entire web as a Google project. The current version of Chrome is 49.0.2623.110, suggesting at least one minor update can be expected before Chrome MD rolls out in full force. However does today, April 1st, mark the point at which we finally embraced the homogeneous web?